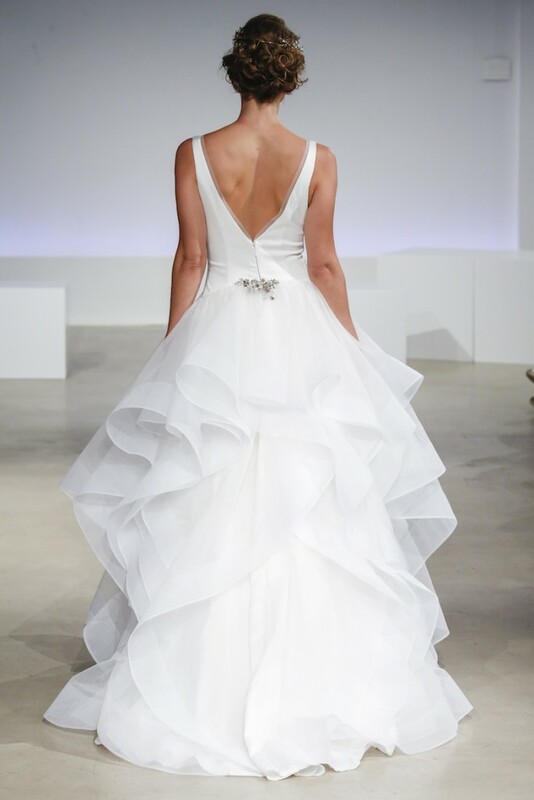 Yes, ruffles ruled the runways at this year’s 2016 Bridal Fashion Week! Chic brides wearing designs from Inbal Dror to Monique Lhuillier to Reem Acra, sported the darling detail, and we couldn’t help but fall in love over and over again. So, scroll on, brides-to-be, because you may be the next one to rock this wonderfully whimsical style down the aisle. 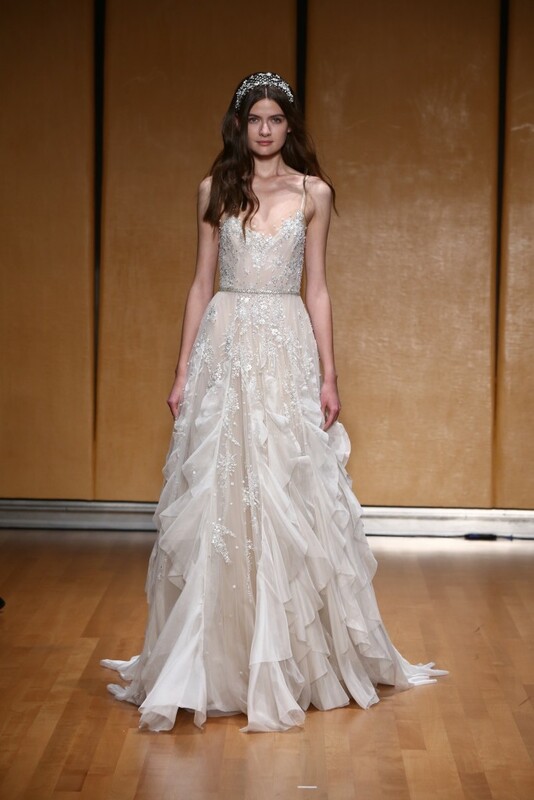 These enchanting gowns had Inbal Dror written all over them! It’s remarkable how she designed a form-fitting bodice that ever-so-softly contrasted the light frills at the bottom. 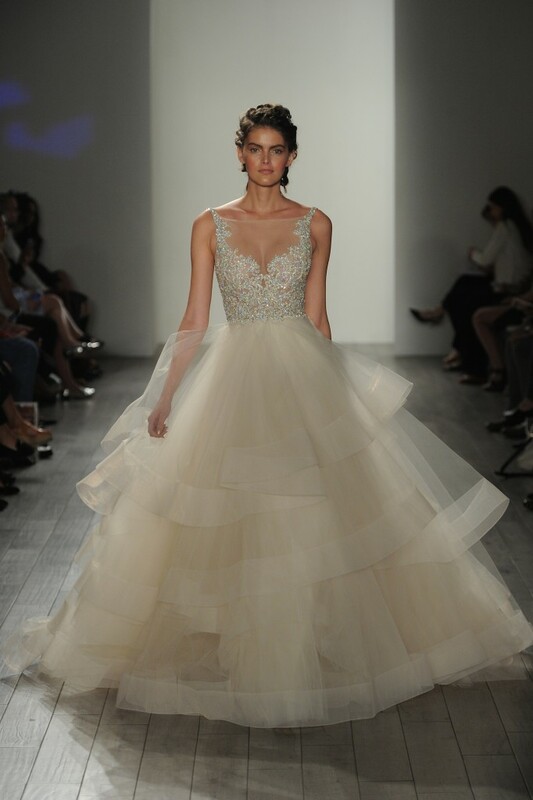 Ines Di Santo hit it out of the park with this number! First, let’s just take a moment to appreciate the homage it plays to “something blue”. But it doesn’t stop there…things get even more interesting with an impressive ruffle train and that “strappliqué”! 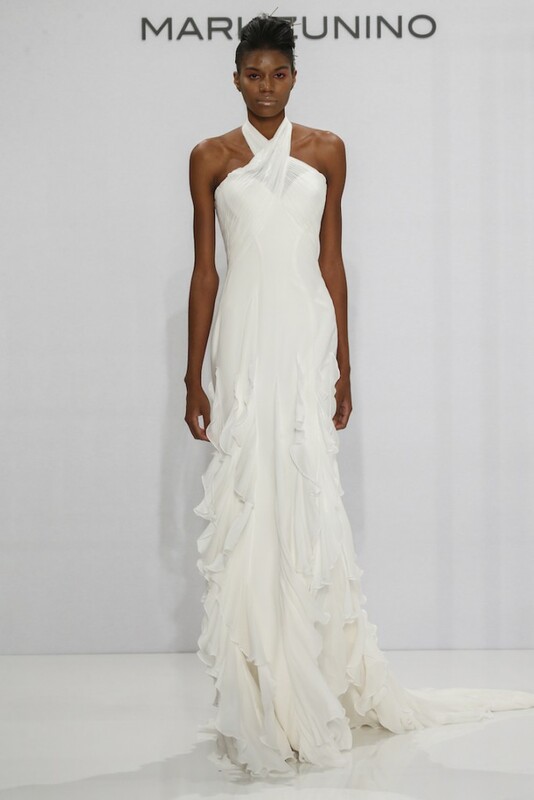 A light, flowing halter-piece with cascading ruffles by the ever-so-talented, Mark Zunino. It doesn’t get much more romantic than voluminous ruffles, does it? 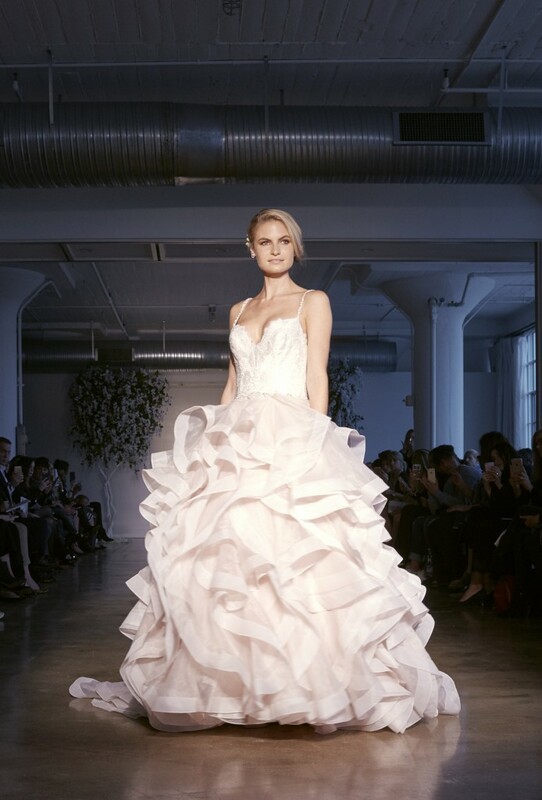 Lazaro put forth such elegant designs this year and we’re dying to try them on! 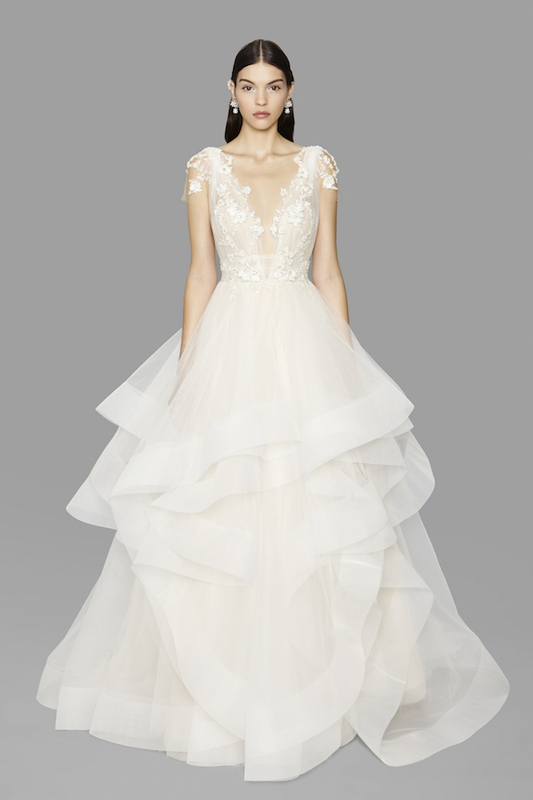 Could this Anne Barge dress be the ultimate fairy tale wedding gown? We’ve got a major crush on these layered ruffles by Morilee that simply scream fun and fabulous! 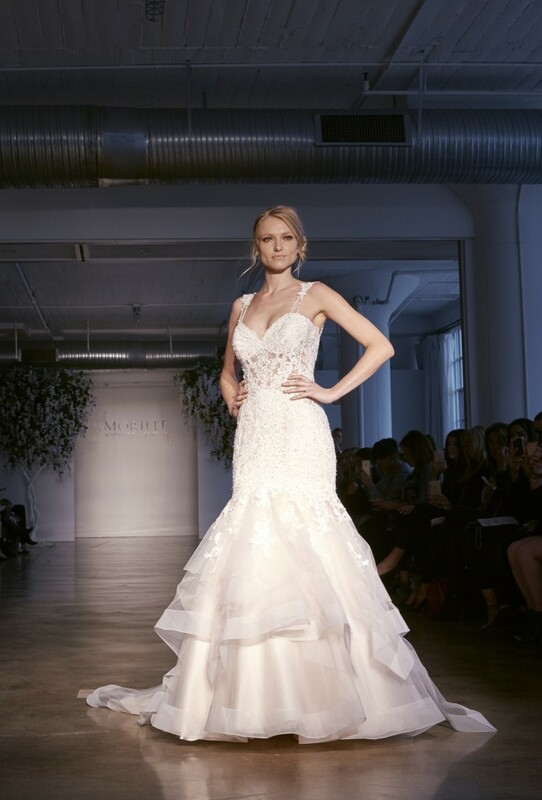 Sophisticated and on-trend, Amsale’s lace and ruffles have a way of making a bride look classically elegant and timeless. And of course, we’ve always got a soft spot for trendy sleeves! 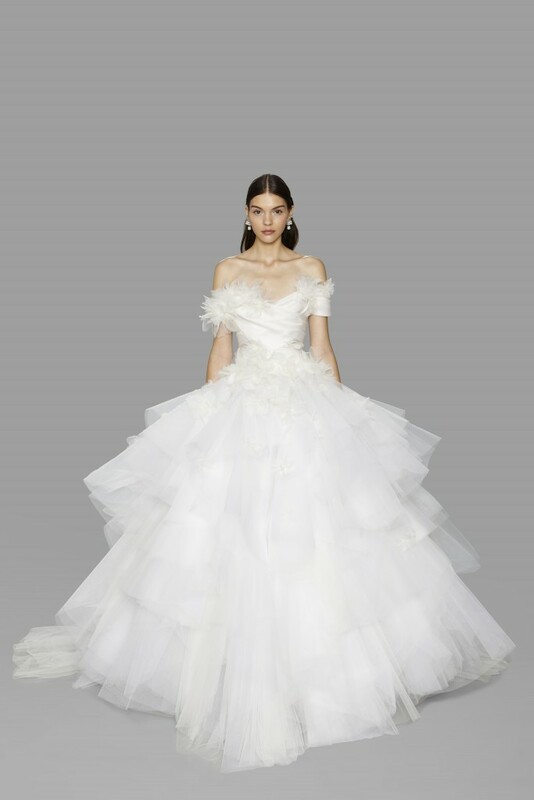 From layers of small, delicate frills to copious amounts of ruffles, Monique Lhuillier achieved the perfect balance in this year’s collection. There’s a little bit of everything for the chic bride! Hayley Paige delivered glamour in the most subtle way with her sparkle net gown…and we’re loving it! We can’t take our eyes off of these dramatic statement pieces by Marchesa. 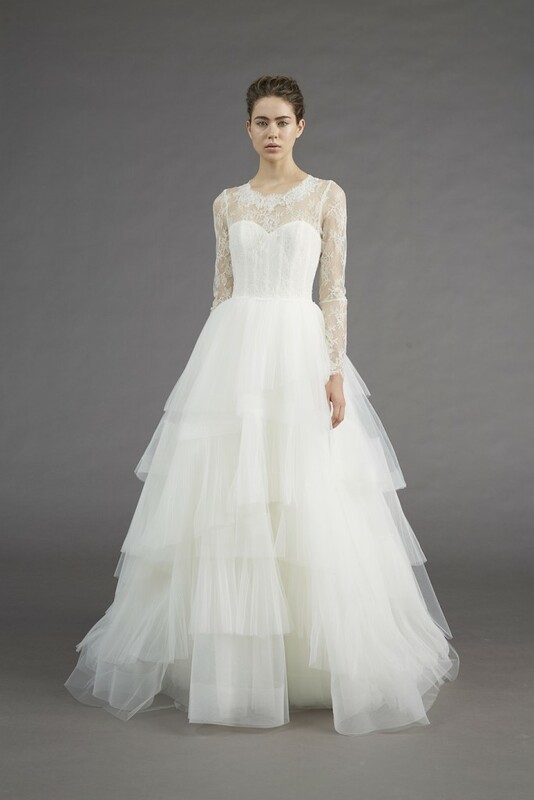 From the deep plunging V, to the intricate lace bodice to the tulle ruffles, Reem Acra debuted an awe-worthy gown that will have brides saying ‘yes’ a thousand times over!